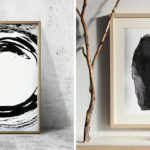 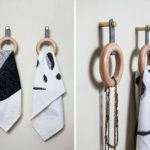 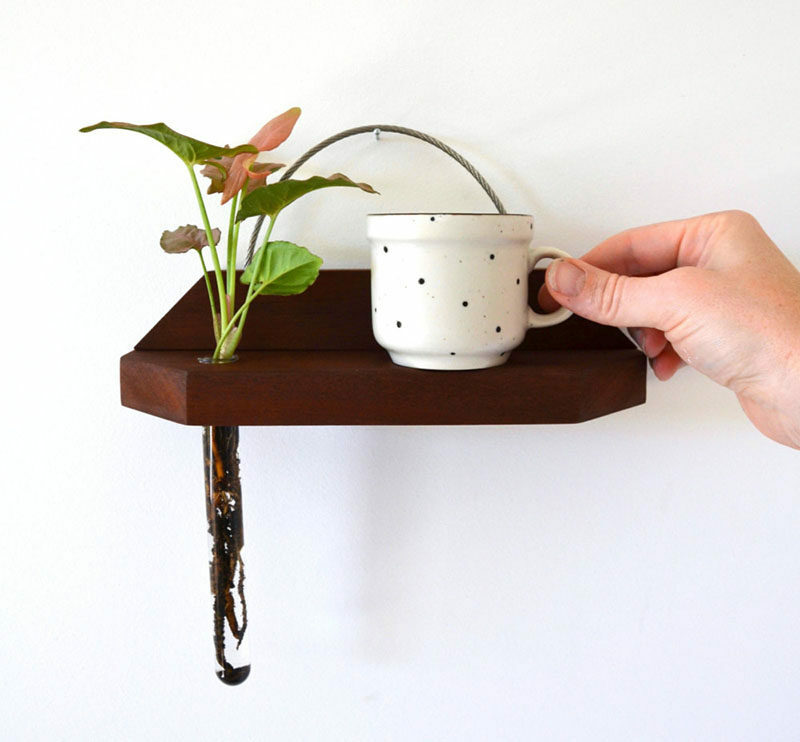 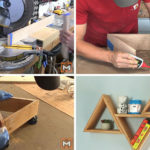 Australian based design studio Kirralee and Co, have created a collection of hanging wall shelves, made from reclaimed wood, that can add a small minimalist touch to your decor. 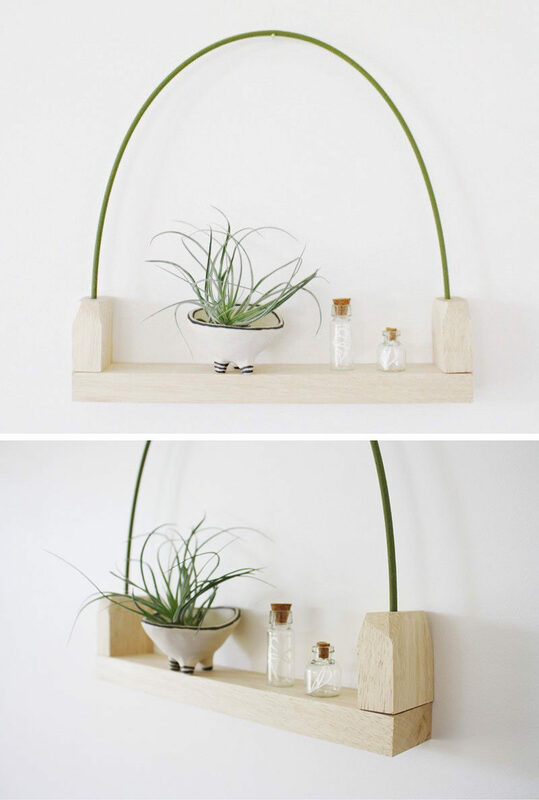 The wall shelves come in a variety of styles, with some of the designs including a small test-tube bud vase, allowing you to display a small flower or leaf arrangement. 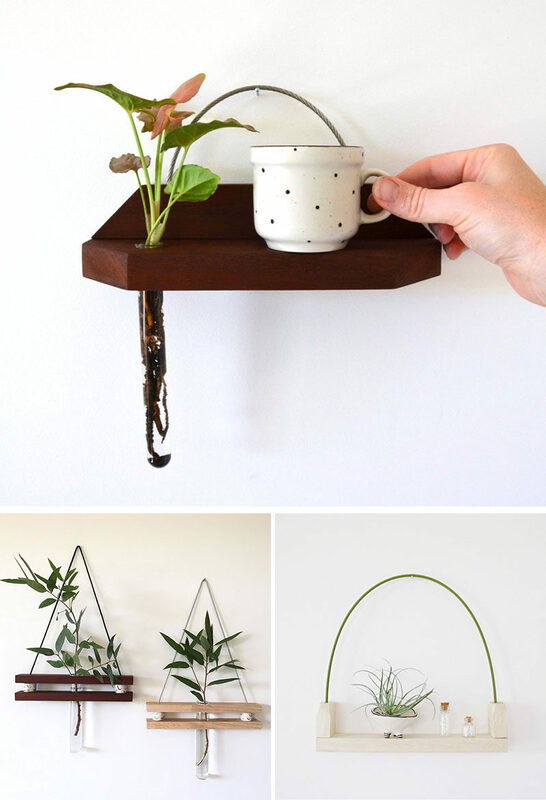 The solid, recycled hardwood and the rope or parachute cord used to secure the shelves give them a clean design that lets the plants and trinkets stand out while still keeping the shelf a main focal point as well. 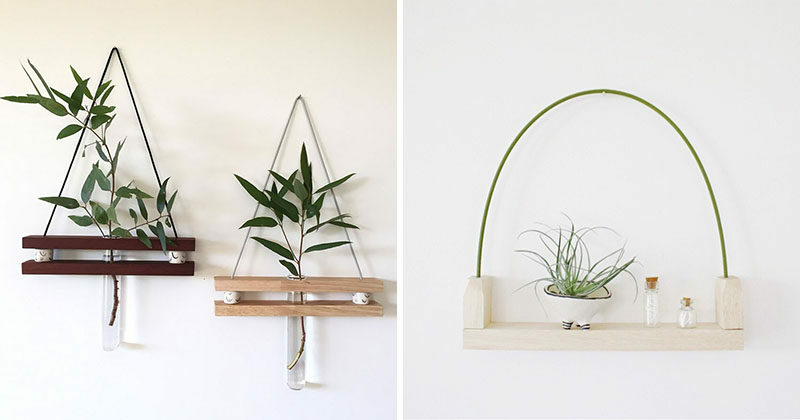 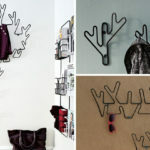 Here’s a couple more examples of the shelves that Kirralee and Co have designed.